Do you need shuttle service from the airport or bus station? If you need a ride to campus from the Greenville-Spartanburg International Airport, the Greenville bus station or the Amtrak train station for the fall or spring semester, submit a request (login required) to make arrangements. The cost for this service is $15, which will be billed to your account. After you arrive and collect your luggage, make your way to the BJU vans parked just outside the baggage claim area. Because of airport security, the van drivers cannot leave their vans to meet you inside the terminal. 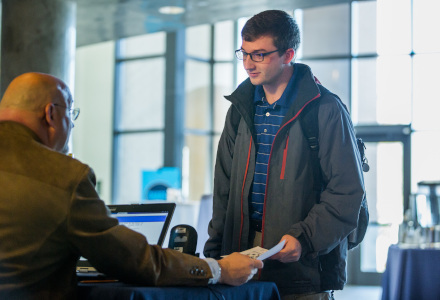 When you arrive on campus on Monday, Jan. 7, locate the Welcome Center to check-in. Check-in is where you can meet several student organizations, get your room assignment (residence hall students) and ID card, register your vehicle, ask any remaining financial questions, and pick-up your class T-shirt and Welcome Week booklet. After you check-in at the Welcome Center, you can move into your residence hall. After moving into your residence hall, your First-year Advisors will be in the Alumni Building, Academic Resource Center (Room 213) to help you register for classes and submit your schedule. Tech Resources will also be open and just down the hall from your First-year Advisor (Alumni 207). Bring your laptop and any devices. They will help you connect them to the campus network and download your free Microsoft software package. If you have any questions, please email us and we will respond as quickly as possible. We can’t wait for you to join Bruin Nation! If you need special housing accommodations, please submit an accommodations request. If you’re taking music lessons for the first time at BJU or if you want to join a music group, you’ll need to audition before you register for classes. 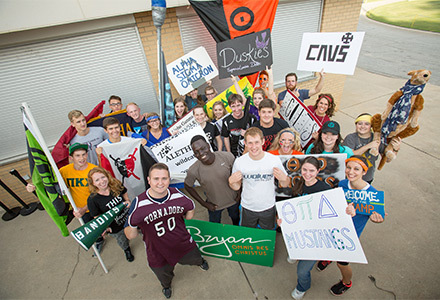 Music groups are open to all students, regardless of what academic program you’re in. If you’re planning to join a music group, you’ll be able to reserve space for it on your schedule in StudentCentral when you register for classes. We require all students to take the ACT or SAT. Your scores and any placement tests you take determine the level of instruction you should register for in various subject areas. Make sure to take all placement tests that apply to you before registering for classes. Following the tests, we’ll let you know which courses to register for. English Placement Test—If you fall into one of the following categories, you’ll need to take this test: you have no SAT/ACT scores yet, you have an associate degree and transferred fewer than 6 English credits, or you have a baccalaureate degree and transferred fewer than 9 English credits. Mathematics Test—If you are taking a mathematics course the first semester you’re here and have no SAT/ACT scores yet, you’ll need to take this test. Mathematics Proof Techniques—Required of students registering for a 300-level or above math course who have not completed Ma 150. If passed, Ma 150 will be waived; if not passed, Ma 150 will be required prior to taking any 300-level or above math course. Testing will take approximately 45 minutes. Modern Language Tests (Chinese, French, German and Spanish)—If you’re taking a modern language course in a language you’ve studied before, you’ll need to take a placement test for that language. If you’re new to a foreign language, when you go to the testing center, all you’ll need to do is indicate that you’re beginning in that language. Computer Science Tests—Required of students who wish to try to waive CpS 110 (Computer Science I) and begin with CpS 209 (Computer Science II). Students must qualify to take Ma 105 (see math tests above). The test is in two parts: a multiple choice part that should take approximately 45 minutes, and (if that is passed) a programming part that should take no more than 60 minutes. Music Qualifying Test—If you’re auditioning for a music lesson and aren’t in a music program, you’ll need to take this test. Depending on your test results, you may need to take MT 098 Fundamentals of Music (0 credit, 0 load) during the semester of your first music lesson. Rudiments of Music Test—If you’re studying in a music program and will be taking MT 105 Theory I, you’ll need to take this test. Depending on your test results, you may need to take MT 099 Rudiments of Music (0 credit, 0 load) during the same semester as MT 105. Music Theory Test—If you are studying in a music program and want to place out of or validate music theory courses (such as MT 105 and 106) on the basis of your previous music training, you’ll need to take this test. Once you’ve auditioned and taken all placement tests you need, you’ll need to meet with your academic advisor. You can find your advisor’s name and office location on your admission certificate or on StudentCentral. All advisors will be in their offices on Monday and Tuesday of this week, so be sure to meet with yours about your class schedule. They’re available to answer any questions about registration or your classes or to talk with you about your career plans. You can register for classes before or during your meeting with your advisor. To register for classes and arrange your schedule, log on to StudentCentral. Make sure you indicate any times you plan to work or have music lessons or groups—doing so will make things go much smoother. We’re glad you’ve joined Bruin Nation! You and your family are invited to the Presidential Welcome and Reception. Meet President Pettit and your student leaders for a short meeting followed by a reception. This intense, but enjoyable time will get you up-to-speed with campus life and provide a good start for your academic career. You will meet and interact with current students, faculty and administrators who will give you the inside scoop about college life. 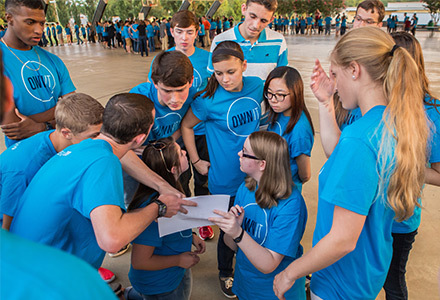 You will also have the opportunity to meet society leaders and learn of opportunities for involvement. Start doing your research now about which society you think you’d like to join. This is the first opportunity for our university family to meet together as we begin the new semester. Arrive a few minutes early to find your seat and meet the people you will be sitting beside for the next few weeks in chapel. Whether you are a new student this semester or a returning second semester freshman, Dr. Pettit and First-year Experience invite you to join us, other administrators and student leaders for a night full of nachos, activities, prizes, and a lot of fun. Dr. Pettit will share some encouraging words to all first-year students. Welcome Week (2nd Semester) introduces you to life at BJU and helps your transition to college life. 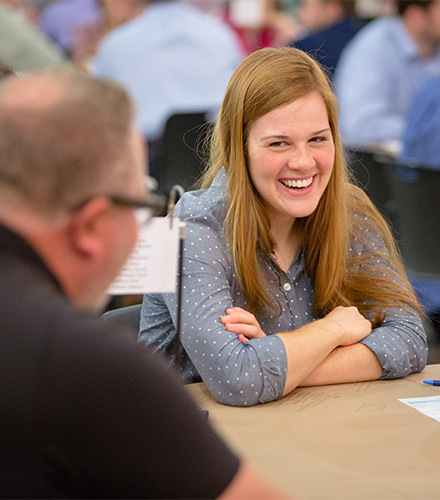 We have exciting activities planned as you learn how to succeed at BJU. All F-1 international students (and their dependents) who did not attend BJU first semester must report to the Designated School Official at their initial enrollment of the academic year. Bring the following items (including items for any dependents): passport, visa, and I-20. You will receive your room assignment and ID card at that time. Your ID card will provide access to your residence hall. You may move into your room as soon as you complete the check-in process. Your academic advisor will guide your academic journey. You will need to see your advisor to register for your classes and talk about academic goals. Prior to seeing your advisor, you should take any placement tests needed. 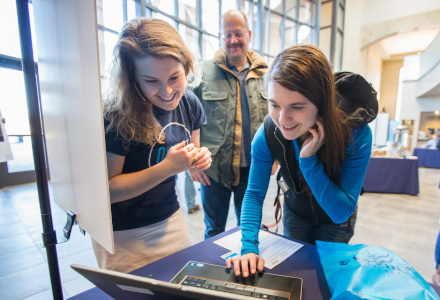 The Tech Resources team will be happy to help you connect your laptop and any hand-held devices to the BJU intranet. In the interest of your academic success, you may be required to complete placement test and/or auditions. Please consult your Admission Certificate for instructions. You can take any needed placement tests online before coming to campus. Lunch is the first meal provided through your meal plan. Meals may be purchased in the Kalmbach Room for additional family members. Meals may be purchased in the Kalmbach Room for additional family members. Meet President Pettit and your student leaders for a short meeting followed by a reception. Bring your parents, too! This seminar is for any student that did not attend the fall semester. Dr. Newton will explain the basics of the student experience at BJU, including opportunities for growth, expectations for conduct and resources for success. Please see your academic advisor to make any changes to your schedule after your music auditions. Come meet Mr. Mark Vowels and the CGO team at this required meeting for all new international students. He will provide helpful information for your first semester at BJU and connect you with other international students and the CGO team. As a visa student with an I-20, you are under a special set of regulations enforced by the United States Department of Homeland Security; these regulations begin immediately upon entry to the U.S. and continue until final departure. Mr. Bryan Boudreau, our campus International Student Advisor, will review some limitations and benefits on the student visa and will explain campus work authorization. There will be time for questions and answers. This is the first opportunity for our university family to meet together as we begin the new semester. Arrive a few minutes early to find your seat and meet the people you will be sitting beside for the next few weeks in chapel. You can find your chapel seat assignment on your profile page in StudentCentral. Whether you are a new student this semester or a returning second semester freshman, Dr. Pettit and First-year Experience invite you to join us, other administrators and student leaders for a night full of nachos, ice cream, activities, prizes, and a lot of fun. Dr. Pettit will share some encouraging words to all first-year students. New or transfer students may attend any society of their gender. Check campus bulletin boards or intranet for locations. Support the Bruins men’s basketball team as we host Barber-Scotia.